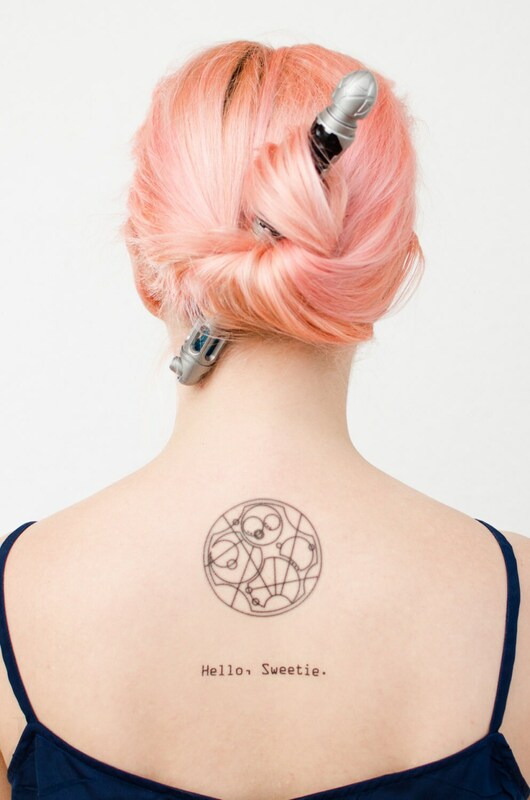 As if it wasn't brilliant enough as a design element, this circular Gallifreyan sentence also spells out "Bow ties are cool." Load up on some fish fingers and custard, always bring a banana, and pop open a box of jelly babies before wearing this gorgeous little masterpiece. The artwork is from Loren Sherman's studies. He has a pretty sweet translator, too. (Google it! You won't regret it.) Used with permission. 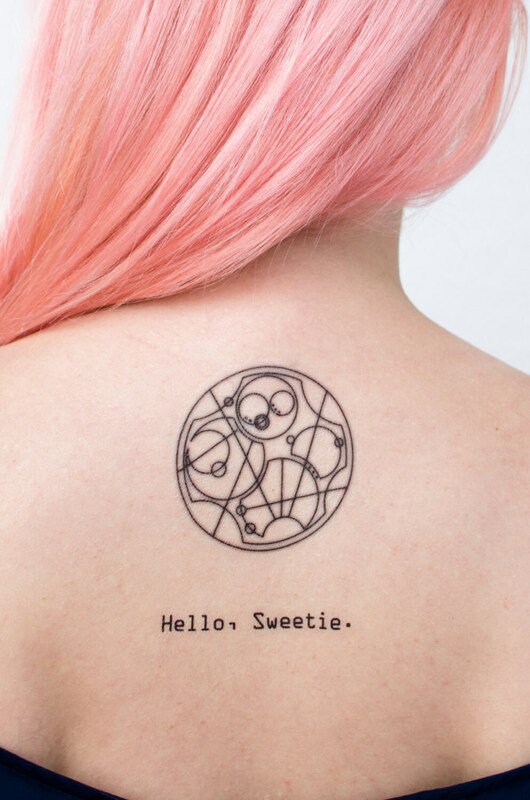 Pictured with the "Hello, Sweetie" tattoo as well. May be purchased separately, or as a set for a small discount. 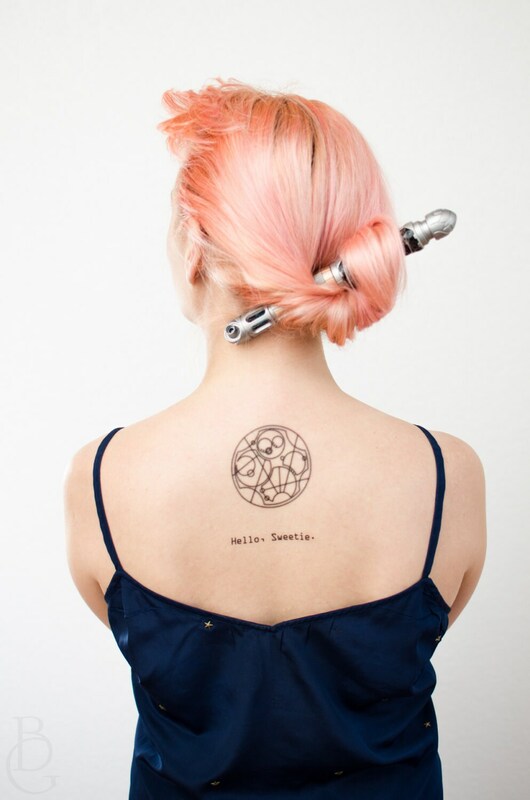 Keep in mind that our smaller tattoos do not tend to last quite as long. Expect your tattoo to last 2-10 days, depending on care.